Advanced Private Investigator & Security of Miami FL is a trustworthy professional full service private investigator/detective and security firm. With over 15 years experience in the field, we are able to deliver superior confidential investigative results and maximum security services to Floridians and world-wide clientele. As a locally owned and operated business that is fully licensed and insured, we are ready to provide expert investigation and security services to best meet your needs. 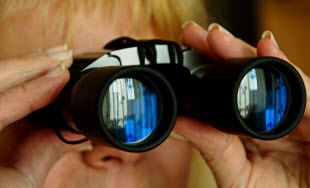 Advanced Private Investigator & Security of Miami FL includes stalking investigations in our list of services. Stalking is a crime that affects 3.4 million people a year according to the National Center for Victims of Crime. Most victims feel helpless and are frequently ignored by law enforcement who are overburdened with heavy caseloads. Many victims do not know how to get the harassment to cease. Fortunately, Advanced Private Investigator & Security of Miami can assist. 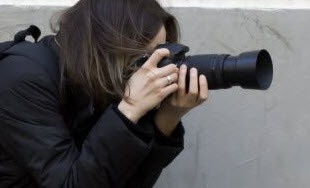 Our private investigators have the training and experience to assess threats, gather evidence for potential court cases, and even offer security to protect victims from physical threats. Defined by the National Violence Against Women Prevention Research Center, stalking is “a repetitive pattern of unwanted, harassing or threatening behavior committed by one person against another.” Due the explicit or implied threats of harm or death, naturally the victim is immediately concerned over the stalkers behaviors. 1) Phone calls that are unwanted and unwelcomed. 2) Cyber stalking that is sending harassing emails. 4) Surveillance of the victim. 5) Pushing flowers or other unwanted gifts on the victim. 7) Spreading false information about the victim. 9) Threats to harm the victim, oneself, or others. The behaviors demonstrated can range from mild intensity to severe aggression and stalkers are very unpredictable, which is why is it better to hire an investigator from Advanced Private Investigator & Security of Miami FL sooner rather than later. It is difficult for law enforcement to make any arrests for the above-mentioned behaviors, because most are not extreme enough to warrant immediate intervention by the law. However, collecting evidence over the long-term can be enough to prosecute. Advanced Private Investigator & Security of Miami FL can assist in collecting the proof needed to stop the stalking and harassment. Additionally, some victims are not aware who their stalker is. 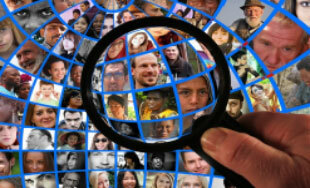 Advanced Private Investigator & Security of Miami FL professionals have the resources to identify letter writers, cyber stalkers, and anonymous phone callers. After confirming the identity of the stalker, the evidence continues to collect, and the safety of the victim is a priority. If you being harrassed by a stalker, you need the experts of Advanced Private Investigator & Security of Miami FL on your side. Our team of experts will rally to your side. Help you feel safe and pull out all of our resources to ensure the evidence against your stalker is strong and law enforcement can make an arrest and the district court has a solid case to prosecute. Contact us for all your investigation and security needs.